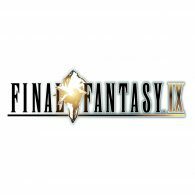 Final Fantasy IX is coming to the PS4 today with additional features, including trophies and high-definition support. Originally released on the PlayStation back in July 2000, the game has been updated for the PS4 with plenty of new features. For a limited time only, you can also save 20% on the PlayStation Store. The 20% discount is available until 23:59 on 26th September 2017. If you purchase the digital edition from the PlayStation Store, you’ll receive the original custom theme designed by Toshiyuki Itahana and eight key characters avatars. The game includes 52 trophies you can unlock, including the coveted Platinum Trophy titled “Heroes of Gaia”. Purchase all items available from Stiltzkin. Uncover the secret of the Eidolon Wall. Cause Moguo to have a tantrum. Raise your chocobo’s beak level to 99. Visit every beach in Gaia. Locate all hidden treasures on the world map. Repair the machine at Mognet Central. Obtain a bottle of Superslick. Successfully catch a golden frog. Win 10 items at the Treno Auction House. Obtain the sacred blade Excalibur. Correctly answer all the questions in Ragtime Mouse’s pop quiz. Gain the favor of all friendly enemies. Obtain a miniature copy of the Prima Vista. Receive 10 rewards from Queen Stella. Receive certification as a Rank S Treasure Hunter. Defeat Behemoth in the Treno weapon shop using Dagger. Jump rope 1000 times without tripping and obtain King of Jump Rope. Jump rope 100 times without tripping. Have the nobles demand an encore. Win with Vivi during the Festival of the Hunt. Attain level 99 with at least one character. Obtain Madain’s Ring via mining. Free Kuppo from a wall in Fossil Roo. Beat the Nero Brothers’ shuffling game nine times in a row. Win a Tetra Master match. Have a single character affected by all status ailments (both beneficial and detrimental). View 79 Active Time Events. Obtain the Mace of Zeus. Obtain the complete set of Genji armor. Receive a Very Good Omen from a color fortune. Guide all the residents of Cleyra to safety.